“Though there are signs of progress in the most affected countries, continued coordination and support from the international community is required to sustain this progress, transfer knowledge, and support health care infrastructure put in place to reverse the progress of this disease," Fischbein wrote, adding, “Congress must set aside partisan politics to expeditiously move this request forward, or risk being on the wrong side of history." 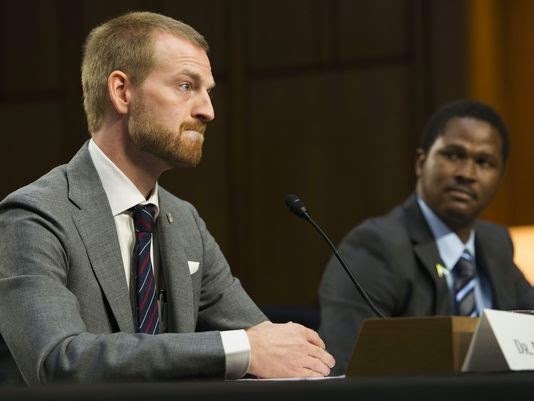 Ten weeks ago, Ebola survivor Dr. Kent Brantly and Healey International Relief Foundation program manager Ishmeal Alfred Charles (pictured above) testified before a joint hearing of the Senate Appropriations Subcommittee on Labor, Health and Human Services, Education, and Related Agencies and the Committee on Health, Education, Labor, and Pensions Committee on "Ebola in West Africa: A Global Challenge and Public Health Threat" September 16, 2014 in Washington, D.C.
Brantly contracted Ebola while working as the medical director for Samaritan's Purse Ebola Care Center in Monrovia, Liberia. He was also the first person to be treated with the experimental drug ZMapp nine days after falling ill.
Dr. Brantly told the committees that he requested international aid well before he contracted the disease but was ignored until he and a colleague became ill.
Ishmeal Alfred Charles was at the hearing as a spokesperson for Healey International Relief in Sierra Leone. He is currently placed with Caritas Freetown as program manager. An ex-child soldier, Charles, now a husband and father of two children, arrived in America a day before the hearing to share Sierra Leone's story. "The effects of Ebola cannot be overemphasized," he told the committee. "The Ebola crisis has damaged further the health care systems, which are not prepared to manage such a difficult situation. Harvest has been canceled because many farmers are dying. In the capital Freetown, hotels keep dropping staff every day and these are parents that have families they need to take care of. “In a country with 70 percent illiteracy, schools have been closed indefinitely because of Ebola. We have no idea when we're going to reopen the schools. Our country has a high orphan population, and Ebola is increasing that on a daily basis," Charles told the committee. The Healey Foundation, which is based in New Jersey, has been working in Sierra Leone for more than 12 years, Charles said. "The foundation's mission is to invest and support families affected by disaster, war, and adverse social economic conditions through the delivery of health care, food, training and other kinds of programs to power communities and build the capacity to become self-sustained," he said. The foundation partners with charities in Freetown, where Charles is placed, and from there run projects across the country spread over 27,000 square miles. The mission is to eradicate poverty, improve equality, advance good governance and empower women and the disabled. Since the outbreak, the organization has set up a Healey Ebola Lifesaver Project (HELP) in 14 districts across Sierra Leone. 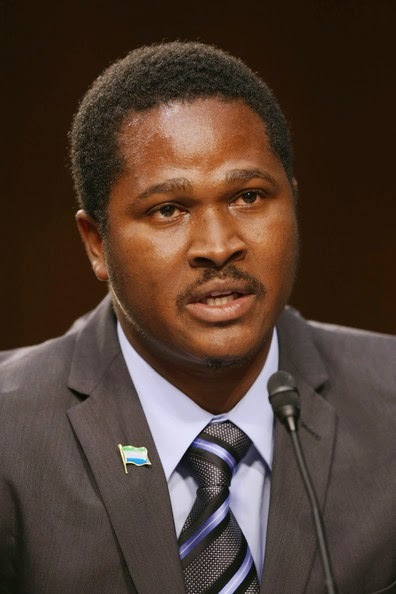 They work closely with the Koroma administration on health and sanitation. "This shows that smaller organizations with lower human capacity and budgets are able to make impact at the lowest level because they live within the community and they understand the reality on the ground,” Charles told the committee in September. “As part of this project, we have been working with a number of communities in the western districts, about 219,000 people; raising awareness, providing chlorine to kill the virus. Soap and buckets to police stations and police posts,” Charles said. By every indication, things in Sierra Leone are not getting any better. The cases keep increasing and the death toll is also increasing. Couple of people are excited about the support we have received, but I ask myself how that has transformed into reducing the spread. We have provided people with the necessary education, a good number of them are cooperating, but with limited facilities to house the patients and [facilitate] the speedy pick-up of sick people it is only getting worse. The burial team will only pick up corpses and not sick people; the surveillance team in the Ebola fight is not helping the situation. Many sick people left in their houses ended up infecting some of their relatives in the same household because the 117 surveillance team does not function well. Another unfortunate situation is that many of the sick who manage to walk their way to the treatment center are not admitted. They [are] rejected and asked to wait until an ambulance comes for them. This is also frustrating for us working in the field as we have been educating these people to come out when they are sick and get treatment, but when they do there are unnecessary protocols, it is quite unfortunate. The other huge challenge is that the international community has not helped the situation holistically as we pleaded for. Leaving Sierra Leone to the British, Guinea to the French and Liberia to the United States, will only make the fight difficult, as we are now seeing Liberia having reduction in cases and Sierra Leone and Guinea are still up there. Basically, what we have been doing since I returned from the U.S. is to continue with the Education for Prevention campaign, engaging community health workers using focused group methodology and direct communication, to counter misinformation and the mixed messages people are getting. We have also been working on psycho-social support for Ebola survivors and campaigning against stigma and discrimination for survivors. We provide food supplement to quarantined homes and partner with other agencies to spread the message. Behavioral change needs constant engagement, communication and advocacy. This is what the Healey International Relief Foundation has been doing through Caritas Freetown. 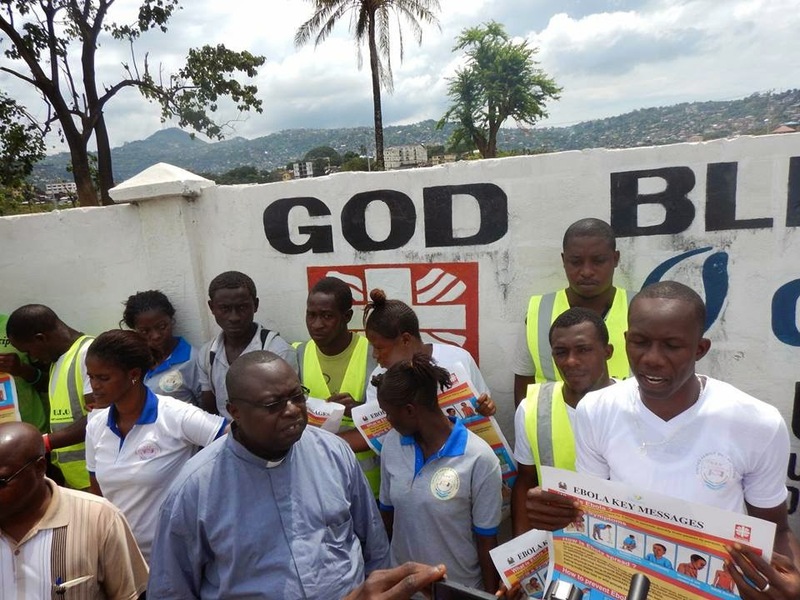 During community sensitization, Caritas Freetown came in contact with two Ebola patients, Morlai Dumbuya, 12, and Yainkain Dumbuya, 16, in Hastings as they were trying to access the treatment center. [They found] it impossible as the rules say you must be referred from a holding center or brought by the ambulance before you can be admitted and treated. 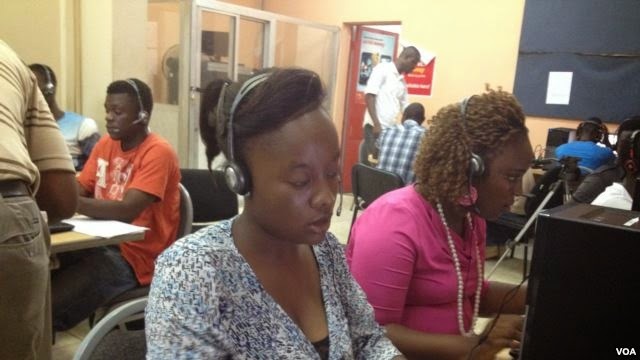 Caritas Freetown called 117 and reported this issue on behalf of the two young people, who had already lost their aunt [at] the treatment center. 117 cooperated and sent an ambulance to pick up the two young people. They were admitted and have survived the virus now. Caritas Freetown has been doing many such referrals and supporting communities thorough referrals, contact tracing, community mobilization, food support to quarantined homes, psycho social supports and more. 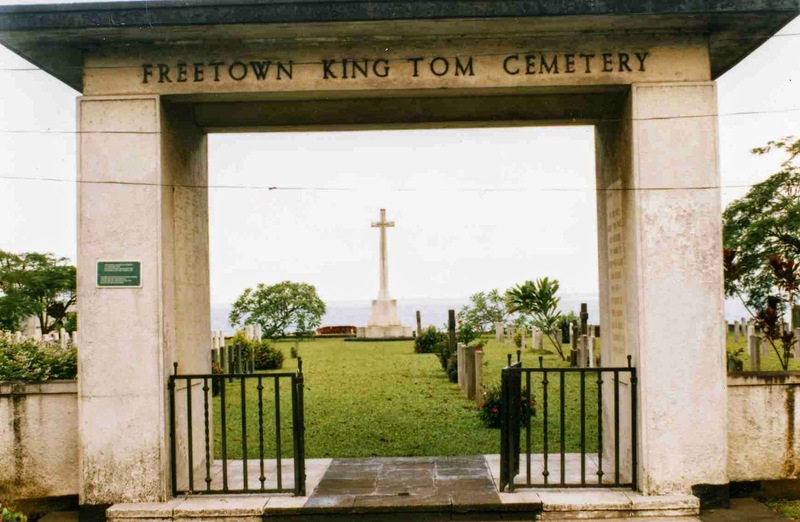 Caritas Freetown handed over the Wall Fence project it constructed at the Kingtom Cemetery, where more than 500 Ebola corpses have been buried. The wall was funded by Catholic Relief Services (Caritas America). 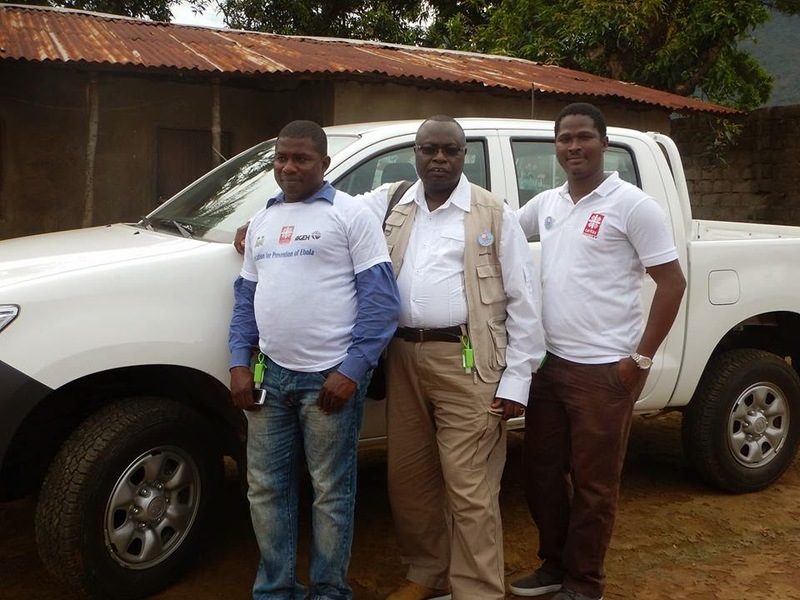 This project has brought so much sanity to King Tom, as youth in the community were challenging the Ebola burial team because their vehicles [were] considered risky. With the fence, the community is happy [and] burial teams are happy that there is privacy and access to the cemetery is now usable. Prior to the intervention of Caritas Freetown, there was so much debris [Sewa News note: Probably caused by makeshift roadblocks placed there in protest] which was causing the burial teams to stop their vehicles outside the cemetery. Now they can drive into the cemetery and get closer to the graveside. The community leaders were very thankful to Caritas Freetown for this support. Also Caritas Freetown donated food and other items to quarantined homes in Kingtom. There have been a growing number of people/houses that have been quarantined and Caritas is keen on helping these brothers and sisters in difficult circumstances.